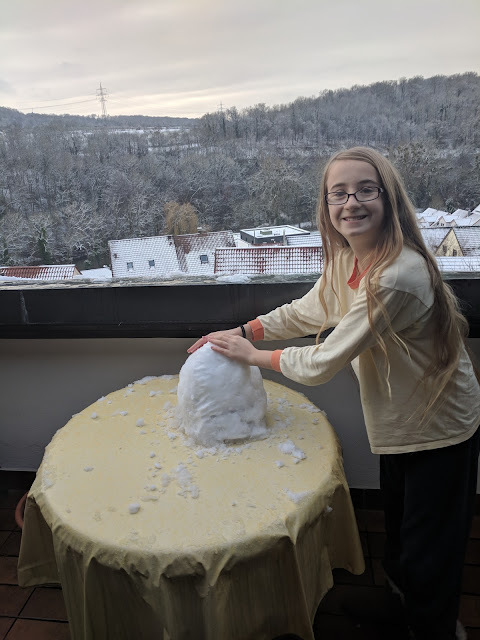 Lostentry - Welztalbahn, Model Railroading, and more: "Do you want to build a snow man ... ?" 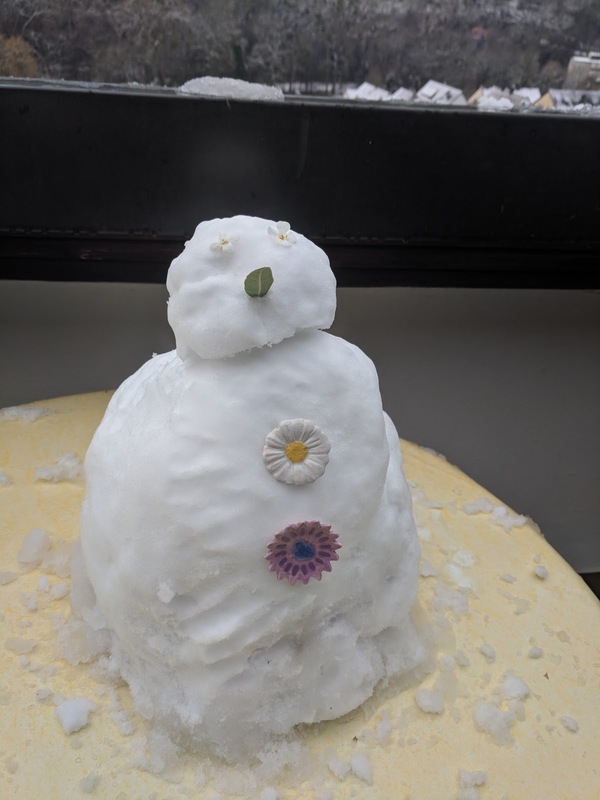 Franziska decided to take a break from homework and build a snow man with a distinct spring flavor.